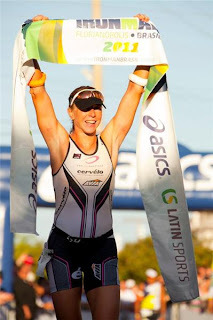 Pro triathlete Amy Marsh, Austinite and ATC-sponsored athlete, finished third overall at the 2012 Ironman Championship in New York City on August 11. Already a 4-time Ironman champion, a 2-time iron-distance champion, and the 2010 USAT Long Distance Triathlete of the Year, Amy will add the IMNYC finish to a long list of career accomplishments. To celebrate, ATC is spotlighting Amy’s gear, with many of the featured items and brands on sale. Use the coupon code marsh2012 to place your order online or in the store. Read Amy’s full race report here.